Right now, the J. Crew Factory store has marked everything down by 50%. 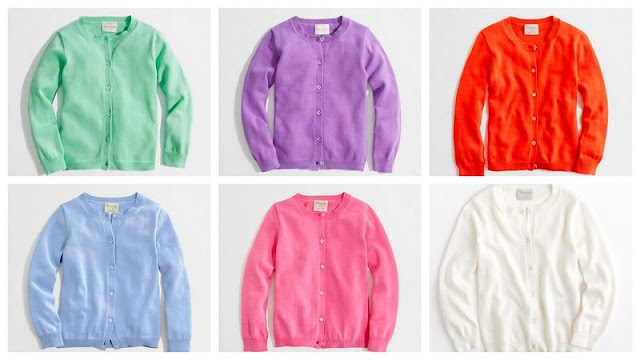 There are some truly wonderful deals to be found, not the least of which is these great girls' cotton Casey cardigans that have been marked down from $39.50 to $19.50. Shipping costs are reasonable for the factory store; just a flat rate of $4.95.